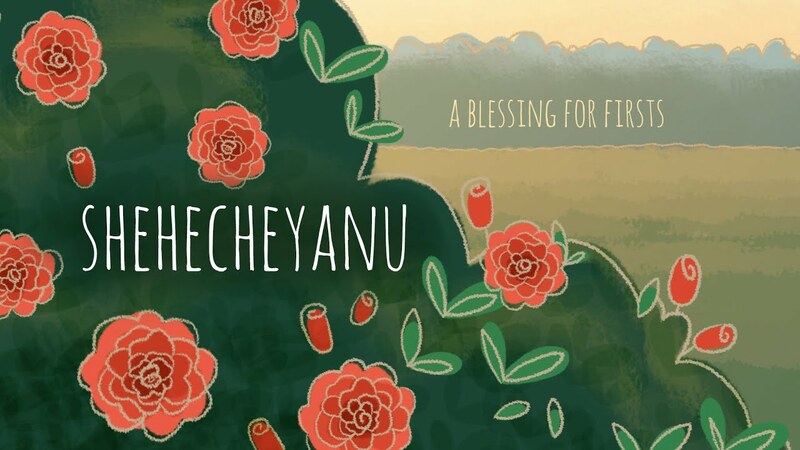 The Shehechiyanu blessing is said whenever we realize the miracle of the present moment. Traditionally, it is recited when we do something for the first time that year — such as lighting Hanukkah candles, hearing the shofar, or shaking a lulav and etrog — as well as at the start of most Jewish holidays. The blessing honors and expresses the wonder of having arrived. Baruch Ata Adonai, Eloheinu Melech Haolam, shehechiyanu, v’kiy’manu, v’higianu lazman hazeh. Blessed are You Eternal Spirit who has given us life, sustained us and allowed us to arrive in this moment. In truth, however, each day is a momentous arrival. Our whole existence has led us to every single moment — the culmination of our lives so far, which we are privileged to experience in the fullness of now. God, that miraculous force of grace unfolding, has brought us home. In encountering and honoring that force of homecoming, we turn and receive the gift of life. If we are truly present, we could say the Shehechiyanu in every moment, because every moment is new and truly unprecedented. Unfortunately, we often get distracted or complacent, and we habitually miss the miracle that is right in front of us. This blessing is an opportunity to do teshuvah, to return, and in returning, to bring attention back to the miracle of this moment, to the realization of the blessing of being alive, conscious and receptive. The traditional formulation of the blessing thanks God for three things: shehechiyanu (given us life), v’kiyimanu (sustained us), vihigiyanu laxman hazeh (allowed us to arrive at this moment). Implied in this blessing is a commitment to vitality, to sustained presence and awareness. Vitality (shehechiyanu): Tune in to the life force that has brought us here. We have all been through so much, struggled and been blessed and guided. There is a treasure in this moment waiting to be discovered and mined. There is a force that animates us — a soul-spark that kindles enthusiasm for the journey. This realization that life has a unique purpose is energizing. Remain loyal to the inner essence, the tzelem elohim (Divine image), that manifests as vitality — the animating life force. Sustained Presence (v’kiyamanu): We have survived in order to thrive in the world that is emerging right now. Sense the potential in this moment and make a commitment to explore and unfold that potential in ways that will sustain and inspire others. Awareness (v’higiyanu lazman hazeh): Make a commitment to fully inhabit life. That means accepting particular predicaments and challenges, while opening to the gifts that allow us to rise to those challenges. Open up an awareness to the big picture and to our small yet essential place in that vastness. When we say this blessing, we expand to receive the gift of life. We are reminded to take nothing for granted and to allow ourselves to be surprised. Rabbi Shefa Gold leads workshops and retreats on the theory and art of chanting, devotional healing, spiritual community building and meditation. She is also a leader in ALEPH: Alliance for Jewish Renewal and is the director of C-DEEP: Center for Devotional, Energy and Ecstatic Practice in Jemez Springs, New Mexico. Her website is http://rabbishefagold.com.